Given that I had good reasons to apply to the Workshop on Increasing Minority Participation (WMP), why did I hesitate in my application? Well, the other side of the story is this: my summer was already pretty full of commitments. I was working as an academic advisor for our freshman orientation programs; I was on the instructional team for our university’s Early Start program in math; I had at least two manuscripts in desperate need of attention as I move toward tenure and promotion. To put it simply: I was already heavily committed that summer, and if I were going to carve out another week towards this workshop, I needed to walk away with actionable strategies that I could immediately begin to implement on my home campus. I sat back for a moment and recalled meeting Bill Velez, one of the facilitators of the PCMI workshop. Bill had visited our institution a few months prior to complete an external evaluation of the mathematics program. During his short stay at Sonoma State, he made a huge impression on all of us by giving straightforward, candid advice – all of which was incredibly helpful, and much of which offered a refreshing change of perspective. Many of his recommendations were easy for us to act upon because he had so carefully weighed the needs of our students and faculty in order to make his assessments. I reassured myself that, with Bill at the helm of the PCMI workshop, I could certainly vocalize my intent to gain specific practices that would help my department and our students, and that the request would likely be realized. I finalized and submitted my application, and in a few short months I was on my way to Park City, Utah. My colleague, Elaine Newman, had also been accepted into the program. After checking in at the PCMI headquarters and the conference hotel, we headed to the program catering tent to meet the other workshop participants at an informal dinner. At the dinner table that night, our WMP group exchanged names, information about our home universities, and chatted a bit about the short readings we had been sent a few weeks prior. The group consisted of mathematicians at various points in their careers – for example, Angelynn was gearing up to begin a tenure-track position at SUNY Potsdam; Rebecca is associate chair of the statistics and data science department at Carnegie Mellon; Jenny is associate dean of her college at the University of Montana; Alice is faculty in both the mathematics department and the learning skills center at Rutgers. Each of us was attending PCMI in a different capacity, but our conversations that night revealed a common goal – what are we here to accomplish? What are our expectations for the week? Not surprisingly, the others were as hopeful as I was for actionable strategies to increase access to mathematics for all of our students. A review of program requirements at several institutions, which led to a discussion about the math major – has it changed to reflect the diverse needs of our current student population? Should it? A discussion on how our programs are represented in an official web presence, on social media, etc. A brainstorming session on recruitment strategies, as well as the purpose of recruitment. A survey of common characteristics of mathematics programs that have been successful at attracting, retaining, and graduating historically underrepresented students. A Skype session with Leticia Williams and Talitha Washington about effective communication styles and advising practices to support all students. A breakout session for developing intervention programs that address students at critical points in their academic careers. A panel of current undergraduate students, all of whom provided anecdotes to speak to the influence that their faculty advisors and mentors had on their success through the major. A workshopping session to write and revise recruitment letters to incoming students. A half-day breakout session to develop action plans that we would take back to our home institutions. As I had hoped, the WMP program expanded my understanding of the issues that face students from backgrounds that are typically underrepresented at math, and provided me with multiple strategies that can help me to support these students and foster their success in math. As I mentioned previously, I was fortunate to attend the workshop with another Sonoma State faculty member. While it may be unrealistic for most departments to find two or more faculty to attend the workshop in tandem, I would highly suggest considering it at least – Elaine and I have continued the momentum we gained from the workshop much more effectively than I believe I could have done on my own. Together, and (thankfully) with the enthusiasm of our other colleagues, our department has implemented several of the ideas we brought back from the conference. Immediately before fall semester began, Elaine and I led our department’s pedagogy workshop with a focus on what we learned through the WMP as well as the action plan we developed for SSU. We divvied up the action items so that each of our department members had ownership of one or more tasks to set in motion. We have since held several informational sessions for our students: one was dedicated to options for careers or graduate school upon receiving their degree; one advertised activities that students should consider to help prepare them for their post-graduation plans, such as attending seminars, working with faculty, applying to REUs, presenting posters at regional meetings, etc. ; another was specifically intended to demystify graduate school so that all students felt like it was a realistic option for them. Our department formed a “public relations task force” to consider how our program is advertised, and the images of mathematicians that our students see in our classrooms and hallways. We are also in the process of rewriting our mission statement so that it emphasizes our belief that ALL students are capable of doing math and should have access to resources to help them to learn math at a high level. 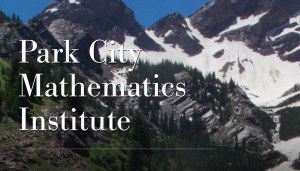 My week-long stay at the Park City Math Institute was a full and robust experience, but it was by no means the end to a conversation. For every potential solution that we discussed in the WMP, at least three other issues arose that need weeks, months, years of work to address. Our 2017 workshop participants are ambassadors for change in their home departments, are organizers of sessions on similar topics at national conferences, and are penning articles to increase awareness and action on behalf of our URM students – I am optimistic that participants in this year’s workshop will be enthused to continue in kind. This entry was posted in equity, introduction, leadership, minorities in math, social justice, women in math. Bookmark the permalink.